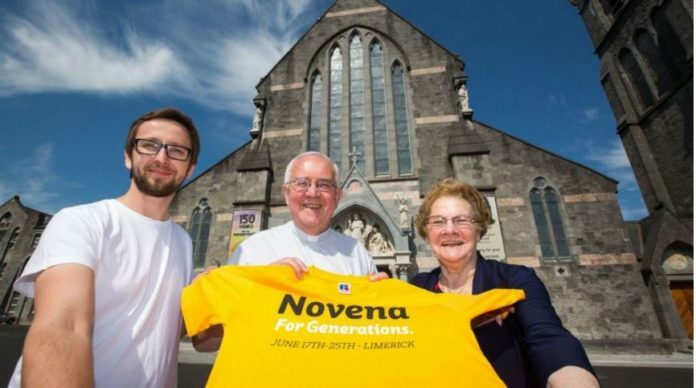 (Limerick, june 8, 2016) – The Limerick Novena 2016 is set to take place from June 17-25. The Redemptorists continue celebrating 150 years of devotion to Our Lady of Perpetual Help at this year’s novenas in Esker (Co.Galway), Clonard Monastery in Belfast and Mount St Alphonsus in Limerick. The combined novenas are one of the most significant and well-attended religious events in the country with a combined footfall of about 250,000 people. 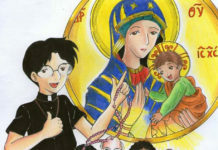 The Pilgrim Icon of Our Lady of Perpetual Help – having visited all 26 Catholic Cathedrals – will return to Limerick for the last three days of this year’s novena – June 23rr, 24th and 25th. The Pilgrim Icon was joyously received as it travelled around the country visiting prisons, nursing homes, schools, day care centres, communities of the travelling people as well as the 26 cathedrals. The novena this year will focus on the Icon of Our Lady of Perpetual Help and the theme of the preaching will be Mary, Icon of God’s Mercy. Each day we will focus on an aspect of the Icon and these features will help us to explore God’s Mercy. Examples of the daily themes are Mercy is the Language of God, With the Lord there is Mercy and Redemption (the motto of the Redemptorists), Mercy for those who are Hurting and Mercy on the Margins. 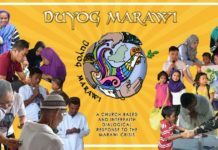 Redemptorist Communications have published a booklet with reflections on the daily themes. These will be available at the Novena and can be found online. 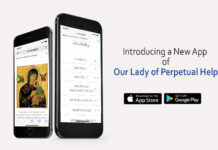 The novena themes bring together the celebration of 150 years of devotion to Our Lady of Perpetual Help with the Church’s celebration of the Year of Mercy. There will be a Holy Door of Mercy in Mount St Alphonsus for the 9 days of the Novena. Traditionally pilgrims had to go to Rome to celebrate a Holy Year – symbolised by walking through the Holy Door – but Pope Francis has decided that people can celebrate the Holy Year in their local Cathedrals or other churches designated by the local bishop. Bishop Brendan Leahy has kindly agreed that we can have a Holy Door in Mount St Alphonsus during the Novena. This will symbolise free and easy access to the God of Mercy who is always waiting for us. There are no unforgivable sins because, as God sees it, there are no unlovable people. The usual well-loved Novena events: The Blessing of Babies and Young Children on Sunday, June 19th @ 4.30 pm The Novena Celebration for First Communion Classes on Monday, June 20th @ 11.30 am The Novena Celebration for the Sick and Infirm on Saturday, June 25th @ 11.30 am Priests will be available to celebrate the Sacrament of Reconciliation every day except Sunday, June 19th. There will be a free, drop-in Counselling Service in a Caravan outside the church from Monday, June 20th to Friday, June 25th from 10.45am to 1.15pm and from 5pm to 9pm. This is a service of the Redemptorist Counselling Service which is available in the monastery throughout the year.